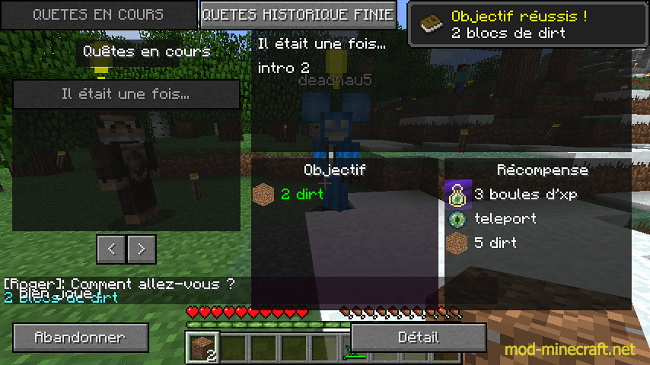 Contains tools for create my client mod : Minicraft Quest and Minicraft Territroy. Dowload and replace your Craftbukkit server with Craftbukkit 1.6.2-R0.1 Minicraft v1 or copy .class with Craftbukkit-1.6.2-R0.1_Minicraft_class_v1 in your craftbukkit (there is just one packet add into). Copy folder ?versions? of Minicraft Forge 9.10.1.871 v3 directly in root folder of minecraft. It contains Minicraft Manager v0.63. Or copy all files of Minicraft Forge 9.10.1.871 class v3 in Forge jar ?1.6.2-Forge9.10.1.871.jar?. It contains Minicraft Manager v0.63.